Have you considered preserving your own food? People are looking into food preservation for many different reasons. Some have decided to preserve their own food because they can purchase different foods when the prices are low and enjoy that food year round at that reduced cost. 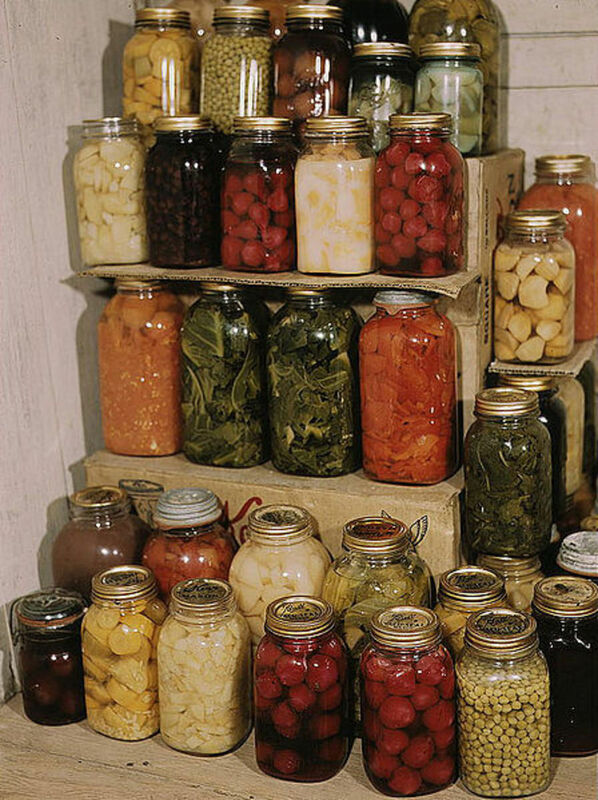 Others decide to participate in food preservation because they feel more comfortable having a stockpile of food in case of a disaster or financial difficulty. Other choose to preserve food because they will know exactly what they are eating and what is in it. No matter the reason behind it, preserving food will cut costs, provide a stockpile of food and it will be healthier for you in the end. No matter which form of food preservation you choose, there are a few general rules that are the same across the board. The purpose of the preservation is to remove the ideal environment that harmful bacteria that can make you sick likes to grow in. Even though you have done everything correct, occasionally home food preservation will fail. 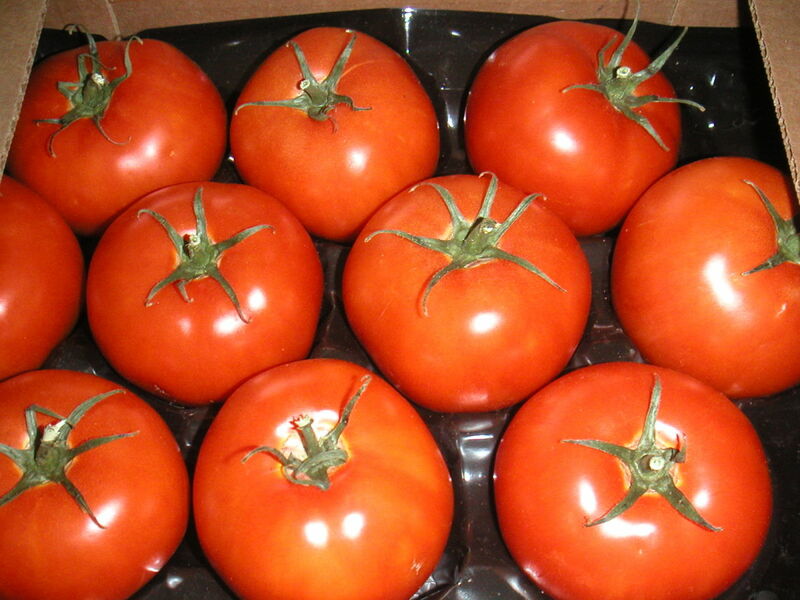 There is an initial upfront cost for supplies for the things that you will need in order to preserve your food. Proper storage is part of the preservation process and will help prevent failures. It takes time to properly preserve food. Taking shortcuts can be dangerous and cause failures. 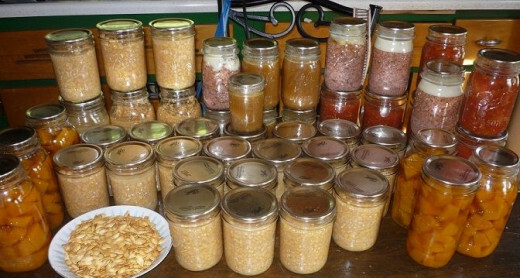 Once you learn the techniques for properly preserving food, you will be able to enjoy the fruit of your labor and all the wonderful types of food that come with it. Salting is a very old method of preserving meats for future use. It is a preservation method that can be used for almost any type of meat including beef, pork, poultry, venison and fish. Salt has natural antibacterial properties and was commonly used before refrigeration to preserve food in a few different ways. Salting is a fairly easy process. The first thing that you want to do is prepare the brine. The brine is made by dissolving salt into water. You want the brine to be quite salty in order to be effective. After the brine is prepared, put a layer of salt in the bottom of your container and pack a layer of meat tightly in on top of it. Alternate layers of salt and meat until you reach the top. Pour cooled brine over the top and place some sort of lid on the container that will keep the meat covered in the brine. Place the container in a cool, dry place. A basement is a good storage place for salted meats. 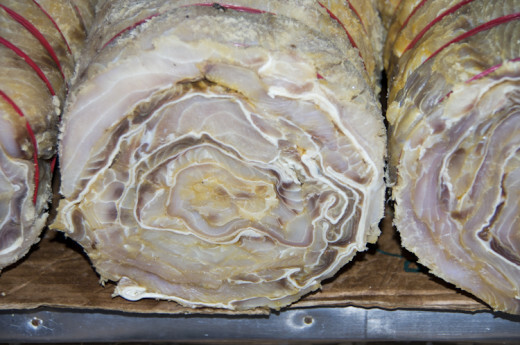 This preservation method can keep meat safe to eat for a few months. When you go to use the salted meat, you will need to soak it for an hour minimum to help remove the salt. After soaking, cook it like you would if it were fresh. Pickling is similar to canning and in fact a lot of pickled foods are finished off by waterbath canning. The preserving element of pickling is either salt or sugar. For example, dill pickles and are done with salt and pickled radishes are generally done with sugar. Pickling is generally done with vegetables, eggs or some types of meat like pig's feet. Like salting, it is a way that food was preserved before refrigeration. Once something is submerged in the pickling juice it can be kept for long periods of time. This type of food preservation usually does change the taste of the food inside the jar. It will usually change the taste to the sweeter side if the pickling is done with sugar or cause it to be more tangy if the food is pickled with salt. Other spices can and generally are added to the pickling brine. Some of the common pickling spices used are garlic, mustard seed, coriander, cloves and ginger. Some items need to be packed into the jars raw while some items need to be blanched in the brine that it will be pickled in. Dill pickles are generally made by packing the jar with raw cucumbers then pouring the hot pickling liquid over the top while radishes are blanched inside the liquid then poured into the jar when the pickling liquid is added. Once the jars are filled and sealed, it is important to wait the amount of time needed for the pickling process to complete inside each jar. The radishes are ready to eat in about a week while pickles, peppers and other vegetables generally take longer. After the pickling process is complete the jars of food will stay good for a long time as long as they remain sealed and are stored in a dry, dark location. Of all the food preservation methods that we are talking about here, fermentation takes the longest amount of time from start to finish. 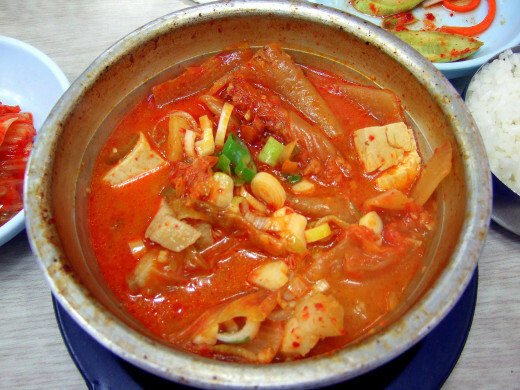 The two most popular foods that are fermented for storage are kimchi and sauerkraut. If you do not have a root cellar or other means to store cabbage, making sauerkraut or kimchi are great options for preserving this vegetable. Sauerkraut takes approximately 4 weeks from start to finish while kimchi can take months. Kimchi can also contain other vegetables besides cabbage so it can also help preserve other vegetables that you may have an abundance of. It is usually made in a lidded crock that is buried in the ground and left to ferment. Kimchi uses salt and sugar in the fermentation process and can also contain other flavorings that will change the taste a bit. Sauerkraut is a popular way to ferment cabbage. It is made in a crock and the ingredients are only the cabbage and salt. The salt draws the liquid out of the cabbage and once the liquid level surpasses the level of cabbage, the fermentation begins. 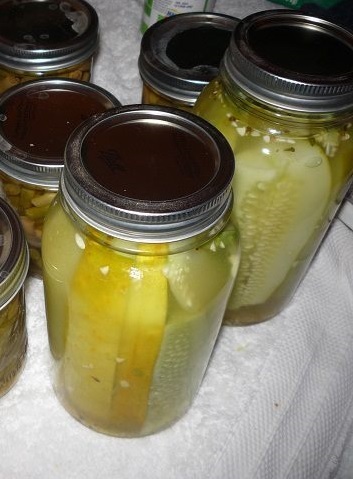 It is usually done in a pickling crock then waterbath canned to seal the jars that it is stored in. My grandmother used to make gallons of sauerkraut every year from cabbage in our garden. She was very particular on where the kraut crock was located in the house during the fermentation process. Homemade sauerkraut is extremely delicious and the bacteria from the fermentation process is extremely good for the digestive system. Home canning has made a comeback with a vengeance. There are two types of canning. Waterbath canning and pressure canning. The key to properly preserving food with canning is knowing which method should be used for what type of food. Waterbath canning is strictly for foods that are high in natural acid. It is also the method that is used to seal the jars for anything that is picked or fermented. Jellies and jams are canned by the waterbath method as well as many tomato products like meatless spaghetti sauces. Pressure canning creates a much hotter environment around the jars that effectively sterilizes the contents to ensure that they will not spoil. Pressure canning is used for meats, low acid vegetables, stocks, soups and stews. This type of canning is done in a pot that has a locking lid so the pressure can safely rise inside. There are some foods that unfortunately can not be or are not recommended for canning. Anything that contains pasta, flour and dairy products. The main reasons are because waterbath canners do not reach a high enough temperature and these foods will spoil or are too dense for the high temperature inside a pressure canner. 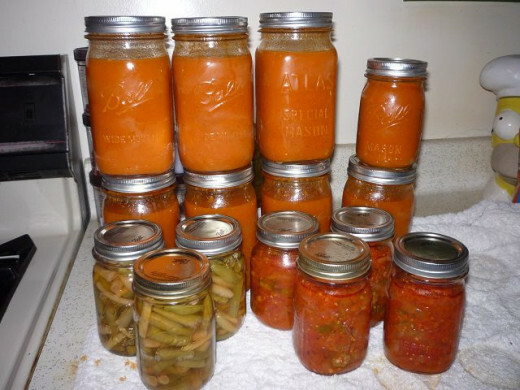 Sterilization is extremely important in canning. The jars can be sterilized inside a water bath before the jars are filled with the product that is being canned. New lids will need to be used each time the jars are reused. The rings or part of the lid that screws down can also be reused. Before starting any canning project it is important to check the jars for chips or cracks. Breakage inside of a pressure canner is usually caused by jars that have a weak point. This is especially important when you are canning with jars that have been used before. There are a couple of different packing methods for foods that are being canned. Raw packing is when you put food in the jar that has not been cooked. It is also sometimes referred to as cold packing. Hot packing is when the food has been cooked or blanched. This is a common method for pressure canning corn, meat and beans. Canning is an easy skill to learn, but there really is a lot of information to learn if you decide to start preserving food using this method. The USDA has excellent information about how to can your food. This is a short guide for common foods and whether or not they can be canned in a waterbath canner or need to be pressure canned. Dehydrating is another ancient form of food preservation. It has been found that human beings used to create jerky by hanging strips of meat out in the sun to dry naturally. Humans have dried herbs, nuts and fruits for winter storage for a long time. This form of food preservation can create some pretty interesting items. Fruit leathers are created in a food dehydrator and are excellent for kids at snack time. Homemade fruit leather is much better for you because you are actually eating the fruit without any preservatives or additives. Jerky can be made on the dehydrator. When you find meat on sale and do not have room for it in your freezer or can not can it for some reason, dehydrating it into jerky is another good option for taking advantage of sales. Dehydrators are also great for preserving vegetables. Kale chips and brussels sprout chips can be made in a dehydrator. Sealed in a plastic bag, these snacks will last quite a while in the cabinet. Fruit chips are another great option. Apples, strawberries, bananas and a lot of other different fruits can be dried for eating as a snack later. They taste fantastic and are a much better alternative to chips. To use a food dehydrator, the first thing you will want to do is prepare the food that you are going to be dehydrating. Fruits and vegetables will need to be sliced. If you are making jerky, you will want to cut and marinate the meat. If you are making fruit leather you will want to puree the fruit and use the fruit leather trays that generally come with a dehydrator. Once the objects that are being dried are prepared, you'll want to load the trays on your dehydrator. Remember to leave at least 1/4" between each piece so the air can circulate through. Turn the dehydrator on. How long it will take will depend on what you are drying. Check the food halfway through and rotate the tray locations so each tray receives the same amount of heat and air in the same place. After waiting for a few hours while the machine works its magic, you'll have some of the best, healthiest snacks available. This is a great discourse in the different methods for preserving foods. voted up, useful, awesome and interesting. Well done with this hub. excellent information. They are SO handy! I've had one for a few years now and love mine. Thanks for reading! Thanks Helena. So useful and informative. I am a more laid back gardener with little time & kitchen space. 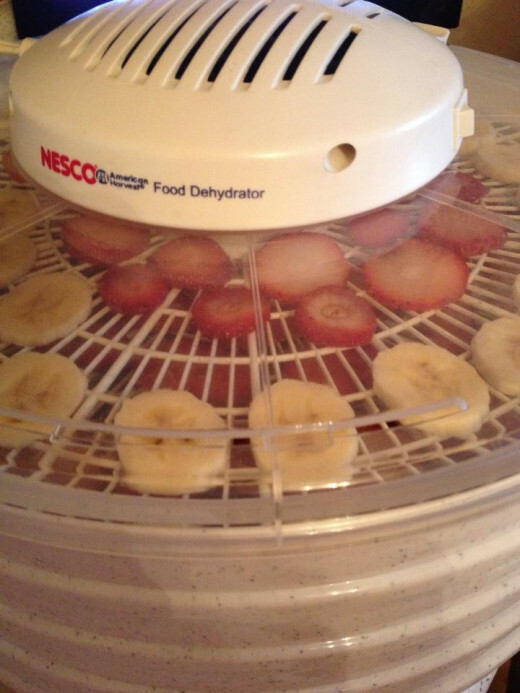 I hope to get a food dehydrator like you this year. Very nice, informative and useful hub! Thanks for sharing the different ways to preserve food. Voted up!